Gather a group of friends, family or co-workers and enjoy the benefits of coming as a group including the opportunity for party-picnic table reservations and a discount. The bigger your group, the better your bargain! Make it easy for your group to gather - reserve a party-picnic table and we’ll put a sign on it with your group’s name for just $20. Limited availability. 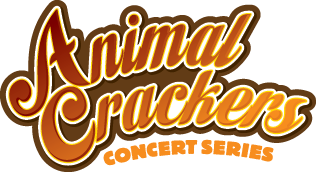 Host a company outing or a special celebration at an Animal Crackers concert. An impressive way to entertain clients or an enjoyable employee outing that involves little work for the host! We like to think of a concert as an intimate yard party under the stars with fabulous entertainment! Host a special party and receive the same great ticket prices listed above, plus customize your event. We can make arrangements for tent or pavilion rentals and caterers all at your direction. Host an affair as elegant or as simple as you would like. For group ticket purchases and special party pricing and reservations, contact us by email - info@racinezoo.org.